Canola can yield 100 bu./ac. with the right soil and weather, but targeting the highest yield potential is often a sure path to bankruptcy. A better target is profit — with consideration for individual circumstances and appetite for risk. Bragging rights tend to focus on yield. While yields of 100 bu./ac. are possible in near-perfect circumstances, how does a grower determine the financial risk from going too far? Keeping the focus on profit, not yield, will help. Chris Bauer, a fourth-generation producer from Lake Lenore, Sask., shares some of his experiences with managing farm finances. The grain and oilseeds operation includes 3,000 acres that, along with some modest off-farm income, sustain his parents and his young family. Many factors complicate this evaluation, including production practices that provide a long-term benefit but may not reap financial returns in the short term. Bauer admits that based on his formula alone, they would grow canola wall-to-wall to maximize profitability, but a strong rotation, among other things, are important for the farm. Yields of 100 bu./ac. and gross revenue at current values of over $1,000 per acre are undoubtedly attractive. But this emphasis on yield fails to capture the very different set of circumstances from farm to farm. Those differences can exist because of soil type and climate, among other factors, but also because of the extreme variation in fixed costs. For instance, cash rent values, even within a small region, can realistically range from $45 to $150 per acre. Net profit looks quite different on either end of that spectrum. When it comes to production, agronomics and finances really cannot be viewed in isolation. To push the needle on yield, one must thoughtfully consider the additional costs required for the theoretical yield gain, and have a good agronomic understanding of the probability of return for each input and rate. Therein lies the problem and the dilemma for most producers. Probabilities tell us that theoretical yield and yield gain, while possible, cannot be achieved every time. And best prices cannot be achieved with every sale. Revenue projections therefore have to be based on reality for price and yield. What growers can do is test techniques and rates, such as fungicide or higher fertilizer rates, that can provide an incremental increase in yield. With that, they can constantly reevaluate profit potential and risk. Assuming your neighbour can afford “xyz” implement and therefore so should you, or that 100 bu./ac., or whatever high yield your neighbour achieved, should be a suitable target for your own operation can lead to very precarious balance sheets. His experiments have shown that the answer on their farm might not be more nutrients. “With our fertility plan, there has been a yield plateau where the return on investment starts to shrink,” he says. Profitability is multi-faceted. 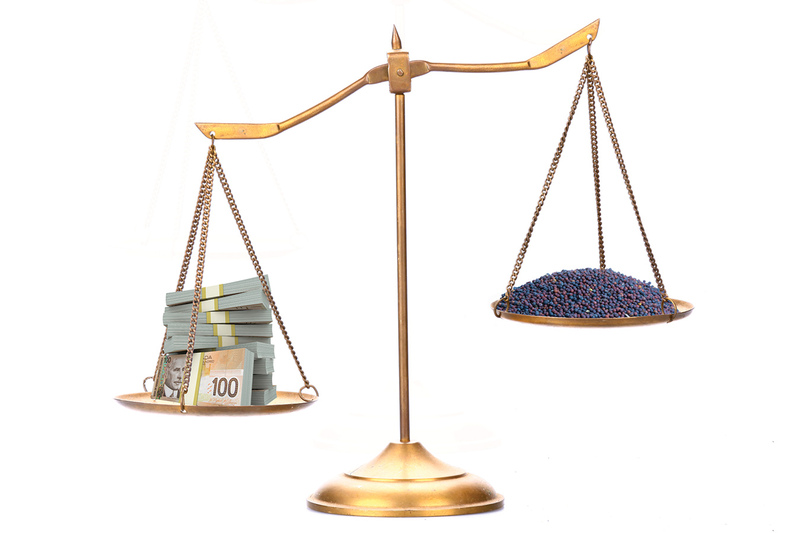 Growers with the same yields can have wildly different balance sheets. Bauer mentions, importantly, that their farm has not taken on a lot of debt. “As land prices have shot up, we haven’t been buying,” he says, which changes the revenue per acre required to hit their profit target and allows them to look long-term with an expanded rotation. Risk management in Bauer’s marketing strategy involves incrementally selling his crops, focusing first on times of high cash flow demand. With the previously mentioned rule of $100 profit in mind, he typically tries to forward contract 20-25 per cent of their expected production, largely through cash price contracts. Storage is a huge piece of that puzzle. “The goal is to have enough storage on farm to hold the entire crop if needed, we can’t do that right now, but are trying. If (the price) isn’t within an acceptable profit margin, we would just buy bins,” he says. An accountant and retired farmer, speaking to the author, provided some valuable advice. “Don’t spend time looking over the fence,” he warned, because what may work financially on one operation is likely not the right fit for another. The answer to the opening question — How does a grower determine the financial risk from going too far on yield? — clearly depends on a myriad of complex factors. To focus on yield alone does not capture those complexities. 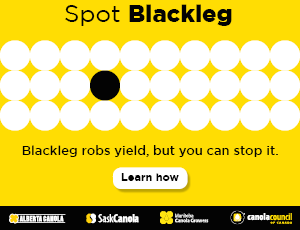 Angela Brackenreed is a Canola Council of Canada agronomy specialist. She lives in Minnedosa, Man. and farms near Brandon.